When a piece needs work on the inside, either partially or totally—new webbing, re-tied springs, new fillings, etc.—that’s reupholstering. The upholsterer works from the frame up, much the way the furniture maker does. That being said, if your old piece has a good frame, there is a lot in it for you. Today’s process combines new and advanced materials with a skilled hand, and decorative stylings to create the finished piece. Many people are choosing to reupholster their old sofa or chair over buying new furniture. If your furniture’s frame has held up for twenty years or more, it is a good candidate for reupholstery. Good frames don’t wear out because they are made of solid wood—oak, maple, ash, alder, or mahogany. These woods are strong and endure the test of time. If you have a lumpy, old sofa, or a frayed chair that is beginning to shed its stuffing, take another look before dismissing it as a “has been.” It could be the beginning of a beautiful new piece. Reupholstery can make the most of your old furniture and save you the cost and hassle of replacing it. You will surely take pleasure in seeing a fashionable new piece bounce back out of the old one. There are a wide variety of fabrics to choose from to complete your new piece. Once you have narrowed down your favorites, a larger sample can be ordered that you can take home to see in your space. Throw pillows can add a touch of flair and fun during any season. There are more choices of padding qualities and firmness available now than ever before. Choosing an upholsterer is not as easy as looking in the local Yellow Pages. Ask around to friends and family for recommendations whenever possible. Once you have a list of places to follow up with, visit the shop to discuss options and pricing. Bring a picture of the piece along with its measurements and any design ideas you have. Whether you have a cherished family heirloom ready for the next generation, or a thrift store piece with a great price but not so great style, you can completely change the look and feel through reupholstering. Although the process can be time consuming, reupholstering furniture can give you a piece completely unique to your own style and home. 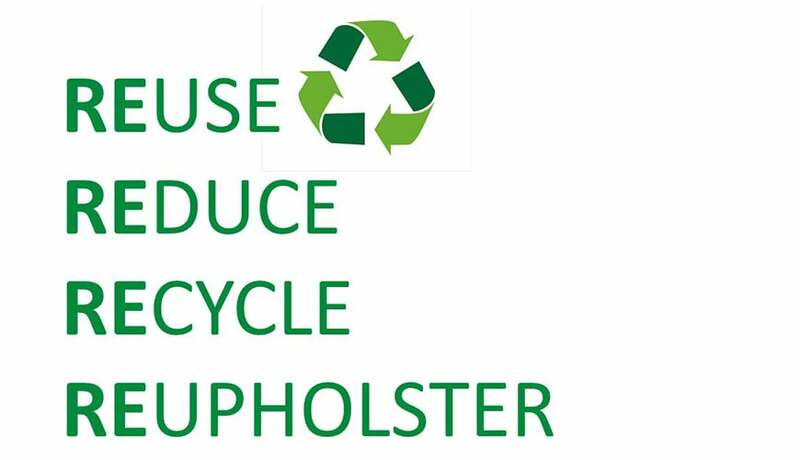 We hope the information in this article has given you a practical understanding of what reupholstery is all about so that you can better evaluate its advantages and enjoy the savings, satisfaction, and values of quality upholstery.